When I started my teaching career there was no such thing as Pinterest (gasp)! So, my bulletin boards were not as “pin-worthy” as the ones that teachers create today. 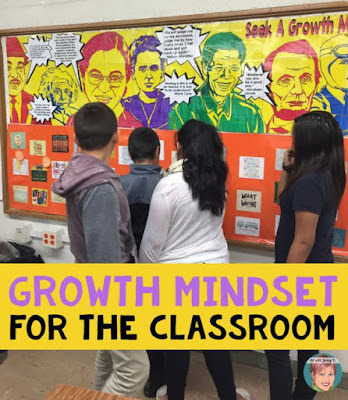 However, these days, I’m so inspired by what teachers are creating in their classrooms. While many of the designs might feel out of our league, I’ve found that with a few simple tips, we all can turn drab bulletin boards into fab bulletin boards. Of course, to illustrate some of the ideas, I’m sharing some images from Pinterest! 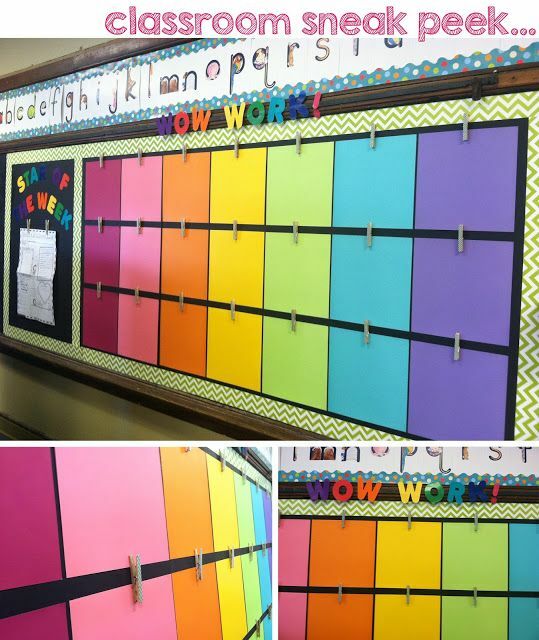 I hope that you’ll find that with very little creativity even the most drab bulletin boards can turn into fab displays in the classroom! 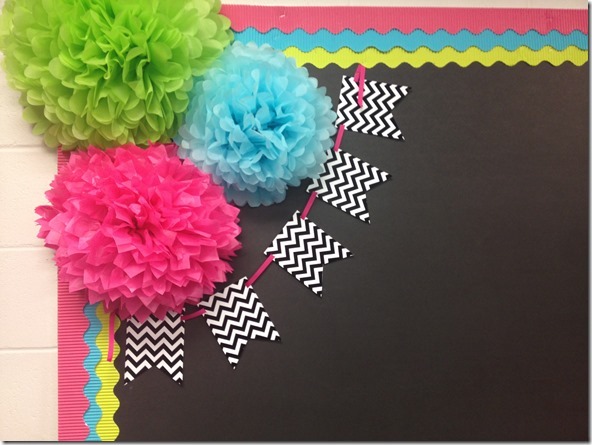 Tip #2 – Display Student Work With Pizzazz! I love a bulletin board that is all about student work. Celebrating students’ achievement and giving students a chance to showcase their learning is a great use of a bulletin board. So, dedicate a bulletin board just to student work. To make it especially “fab” create a system that makes it super easy to swap out students’ work all year long. 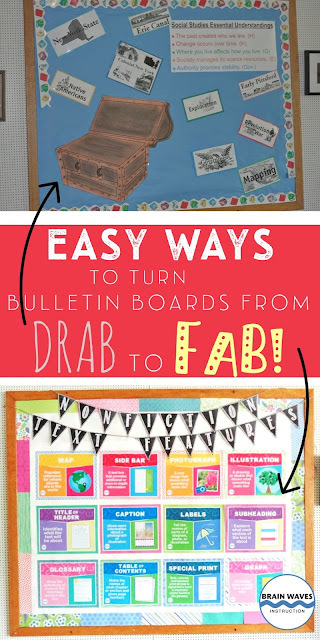 I hope you've found a few easy ways to turn a drab bulletin board into a fab one! If you're looking for more ideas for classroom décor and design, they’ll you’ll love the FREE 30-Day Teacher Challengethat Rachael from The Classroom Nook and I have put together for you! Our FREE course includes hundreds of tips and tricks for getting your year in gear. 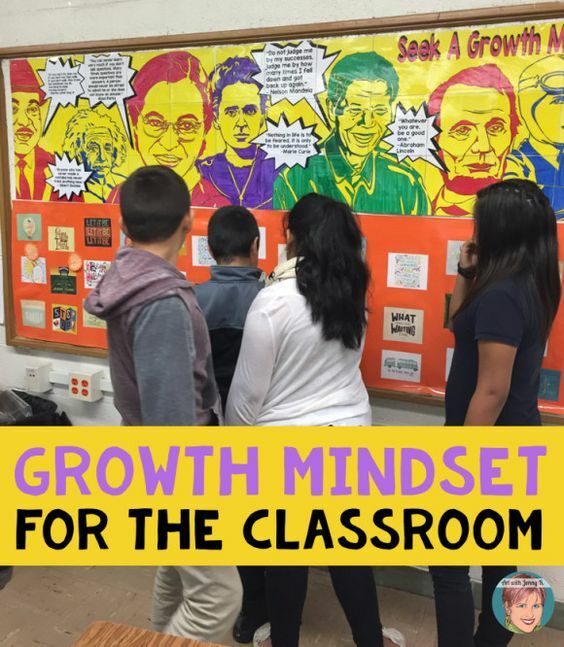 You’ll discover ideas for classroom design, organization, curriculum planning, and building a positive classroom community. To sign up and learn more, just click HERE. 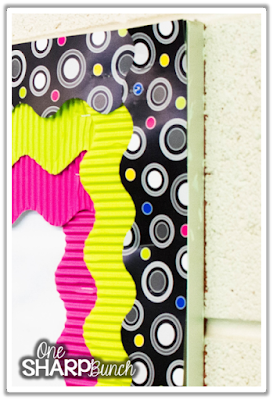 I've also put together styled classroom decor kits that you can use to easily create bulletin boards in your classroom. Check them out HERE.